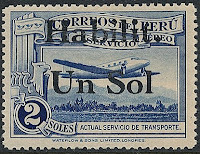 In 1936, Peru surcharge issued a set of five surcharged airmail stamps (Scott #C40-44). 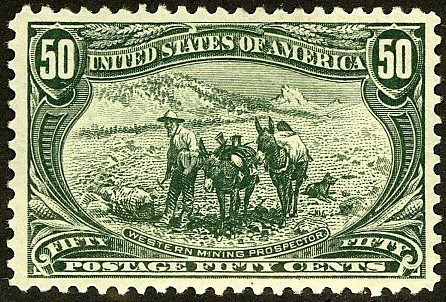 25,000 sets were issued, and Scott '13 prices the unused set at $18.05. Most were probably used as postage and discarded. 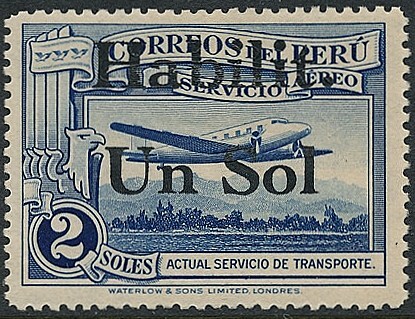 While I sometimes advise obtaining expertization on scarce overprinted issues, such is not the case for this set, which is actually less expensive than the basic non-overprinted stamps.